The numerous portraits of George Washington painted by Gilbert Stuart are among the greatest icons of American history. To illustrate the essay by Michael Beschloss in this issue on the struggles, and sometimes nasty opposition, that our first President endured in his second term, we chose the last portrait that Stuart painted. In it the President looked so real, so tired, almost as if he was worn out by the attacks on him and even his wife Martha. It seems as if every President has visibly aged in office, beginning with #1. Stuart had returned to America in 1793 after working in London and Dublin for 18 years. 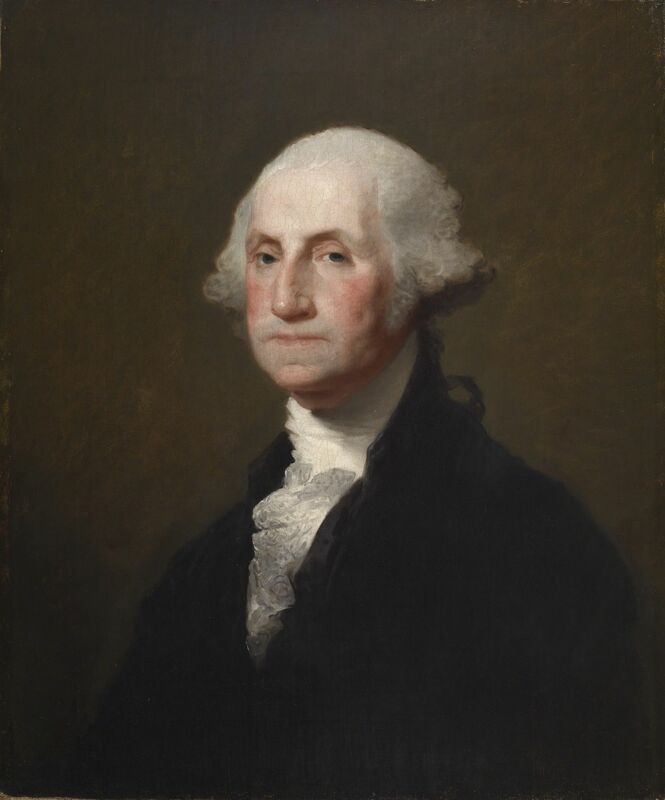 Shortly afterward, he painted the first of his 21 portraits of George Washington. The Walters Art Gallery in Baltimore now owns this last Stuart likeness of the President, which was originally commissioned by collector Robert Gilmor, Jr., for $150. We would like to thank the Walters for permission to reproduce the painting.